You are joining us to discover some of the greatest North Miami Beach restaurants! Much has been said about the best restaurants in Miami Beach. This article will be a compendium of some of the most interesting places in the North Miami Beach gastronomic scene. You might find some of your likings, something you already know, but hopefully, something new to try. Before starting, I’d like to talk about what makes this city so charming and unique. Contrary to its name, it might not have any beaches, but unlike Miami, North Miami Beach has a largely diverse amount of restaurants to try and enjoy. A rich multicultural environment makes this city an ideal place for new restaurants to surge. North Miami Beach food businesses offer a competitive food culture open to serve the best dishes from all around the world. You are welcome to discover the best Miami food recipes, local and foreign. Let’s start with Little Havanna Restaurant. This Cuban food restaurant has been building its reputation for a while now. They have a simple but yet effective formula: Bring a different cultural-themed neighborhood restaurant as authentic as possible. Everything in the “Pearl of the Antilles” style, of course. The Alvarez family (Little Havana’s founders) was aware of the success they might have. And they were not mistaken. Bringing the best flavors and dishes from their homeland island of Cuba has been a winning idea for them. “This is the food we grew up with, that our parents and grandparents brought from Cuba. However, we’ve found that most of our business is from other cultural groups. Once they try our cuisine, they’re hooked,” says Jorge Alvarez Jr.
A taste of the Cuban culture includes mainly all kinds of meats and preparations; beef, chicken, and pork are all there, and they look good. You can also find different salads with Shrimp or Chicken. The Cuban Sandwich is pretty popular too, and it’s definitely a recommended one if you are on the go. Soups with legumes are an interesting option too. 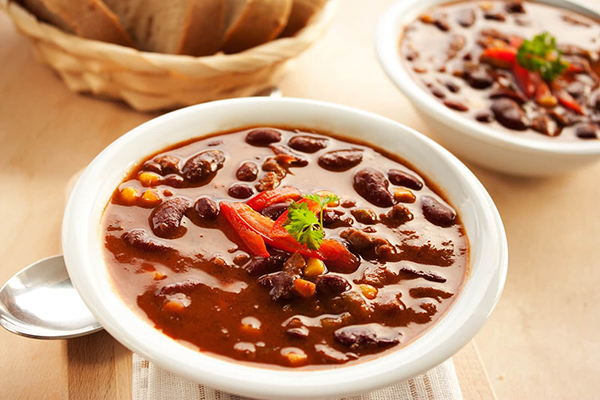 “Frijoles Colorado” (Red Bean Soup), “Fabada” (White bean soup), and “the Plantain Soup” are all intriguing choices. Moving to the barbecue joint side of the force we’ve got Bulldog Barbecue Restaurant. Owned by Chef Howie Kleinberg, Top Chef Season 3 contestant shows why Bulldog Barbecue is a bark of flavors in the most straightforward style. Mr. Kleinberg (aka Bulldog) delivers another example of “less is good” with a smart business where no etiquette is required to enjoy creative and well-built food. The Menu goes from Burgers to Hot Dogs, to Meats, to Sandwiches to snacks and much more (Including salads!) These are not your regular Fast Foods, though, so make sure you give a close look to their varied and creative menu! Let’s head to Aventura now. Here we will find very interesting choices among North Miami Beach restaurants! We want to start by talking about Bourbon Steak. This is a pretty elegant restaurant, well known for their dedication to all-natural fresh market ingredients with a generous touch of distinction. The Bourbon Steak is the brainchild of James Beard Award-winning Chef Michael Mina. There are five locations of this restaurant all across the States. Among the North Miami Beach restaurants we’re visiting today, here we find Chef Gabriel Fenton, a young and talented Chef hailing from Princeton, New Jersey. What can you really expect here? Well, a refined ambiance combined with prime cuts of American beef, worthy of a prominent steakhouse. But don’t get confused, if farm fresh dishes are what you’re looking for, that’s what you can get here. Seafood and modern American classic dishes are also part of the menu. 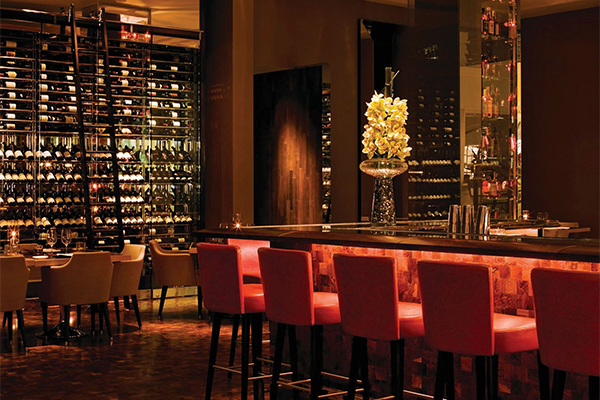 The restaurant is also proud to offer an extensive selection of over 800 wines. If you’re thinking about celebrating a special occasion, this restaurant should be a must if you’re in the area. A different option among the restaurants in North Miami Beach is Timo Restaurant & Bar. This is a restaurant that evokes the warmest and the purest spirit of the Italian-Mediterranean cuisine. Chef Tim Andriola has layed out an interesting menu ranging from the classic pasta to the freshest fish dishes. Timo Restaurant & Bar also offers a multipurpose ambiance; you can either have an elegant dining night or something a little bit more casual. Something that caught my attention is the Timo Restaurant & Bar menu changes in every season. I think it’s always nice to expect changes in the carte and have something to look for if you visit the restaurant on a seasonal visit. If you like what you found, you can always come back before it changes! 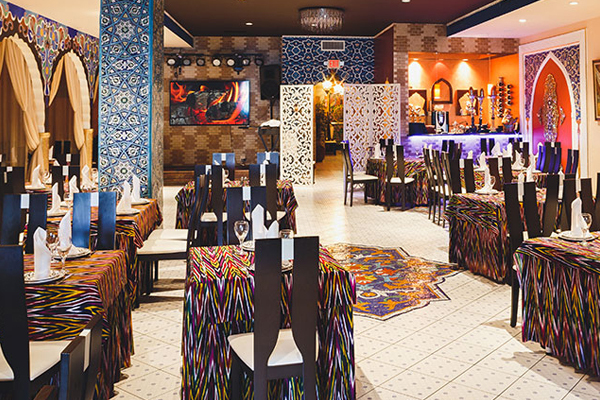 Now let’s get into the exotic/ethnic North Miami Beach Restaurants! So we have already talked about classic and casual cuisine in the North Miami Beach restaurants. Now let’s take a look at what we found on the exotic side. Ethnic cuisine will always be there to surprise and amaze us, and there’s always something new to try. How about we talk about the Central Asia cuisine? The restaurant Chayhana Oasis offers a menu straight from Uzbekistan; however, they offer more than food. Eating here is a whole experience. Once you enter the restaurant you’ll notice all the Uzbek decoration, the wonderful tiles, the tablecloths; everything looks stunning. This can give you leads on how rich this culture can be. History will tell us the Silk Road, the ancient network of trade routes that connected Asia with Europe for over a millennium, passed through Uzbekistan. Hence, this nation has been influenced by so many cultures, and this was reflected in the cuisine, of course. Chef Muzaffar Hadaybergenov has made sure to keep it that way. Uzbek cuisine is a very Bread oriented food, but also very rich in grains and meat. In the entrée section, you’ll find a popular: The Cheburek. This is a deep fried crepe, folded into an empanada-like shape and stuffed with meat filling and seasoning. As a main dish let’s talk about Pilaf, which is not only the most popular but also the main Uzbek national dish. Pilaf is made with rice and pieces of lamb, onions and grated carrots. This restaurant is not all about meat, so you can surely find salads, soups and sides dishes worthy of the Uzbek cuisine. For dessert, we have Medovik, a multilayered honey cake which invention dates around 200 years old! Moving on with the North Miami Beach restaurants, we keep moving East and we find a fantastic Japanese restaurant: Yakko-San. This is not your usual sushi bar. Owner Hiroshi Shigetomi arrived at the States 30 years ago from the Japanese city of Yamaguchi. Later in 1993 Yakko-San is founded to become a Japanese restaurant with 140 seats and a menu with over a hundred choices! If you want to live in North Miami you can look for assistance from the relocation companies available in Miami to help you with this difficult task for your family. Once you set foot into the restaurant, expect a loud “Irasshaimase!” coming from the entire Yakko-San crew! This is an honorific and very polite expression used to welcome someone into a business. Mr. Shigetomi is proud on having a strong menu and offers Crispy Bok Choy or Kawahagi Grilled Triggerfish as dishes unique from the Yakko-San house. This restaurant with a classic and casual ambiance has been awarded by critics as a top Japanese restaurant thanks to their dedication to maintaining an authentic Japanese cuisine experience while serving an immense variety of spectacular dishes. They close at 3 am! Not into meat at all within the North Miami Beach restaurants area? Well let’s try a vegetarian restaurant, shall we? In “Vegetarian Restaurant by Hakin” you’ll find an exquisite selection of Caribbean Vegetarian/Vegan cuisine. This restaurant might be modest looking, but don’t get mistaken, they found the sweet spot by turning simplicity into charming. Here you’ll find a 100% health-friendly menu. A clean and cozy atmosphere is accompanied by the excellent vibe and cordiality of Hakin’s crew. By now, you might have figured out Hakin is the owner. He seems to enjoy the personal approach as he frequently likes to take care of their customers, presenting himself from time to time. The customers love Hakin’s warmth and friendliness, something that definitely adds value to the restaurant. Managers, take note! Here you’ll find amazing food, even if you’re not a vegetarian. Meatless meatballs and tofu tuna will really fool you, as you will think you’re eating actual meat. You are also welcome to try the Jamaican Veggie Patties, the burgers made with quinoa, grains or tofu, or the “No Bull” barbecue ribs sandwich. Natural smoothies and drinks are also on the menu. This is one of the best restaurants in the Vegan scene of the zone! Coming up next: a Peruvian restaurant in Miami Beach. 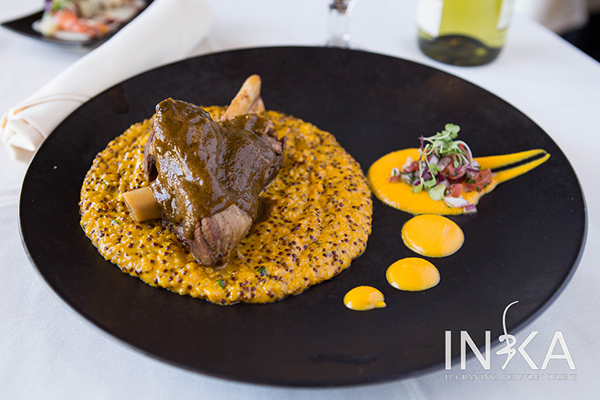 We finish our journey through North Miami Beach restaurants at El Gran Inka. How many Peruvian resaurants in Miami Bech do you know? If you’re reading this article you probably already know El Gran Inka. In case you don’t, you need to know here you’ll find delightful dishes straight from the heart of Peruvian cuisine tradition. “North Miami Beach restaurants are developing a gastronomic culture influenced by European techniques and from the classic kitchens. This is the case of Peruvian cuisine adding new textures, colors and flavors with balances” comments Chef Fabrizio Garofolin. This Peruvian restaurant in North Miami Beach offers several options. Ceviches, Tiraditos, Causas, and all kinds of seafood and meats headlining a robust menu that treasures the care Peruvian gourmet cuisine requires. You can find the North Miami Beach Restaurant El Gran Inka in Aventura, but if you go south, there’s another location in Key Biscayne!